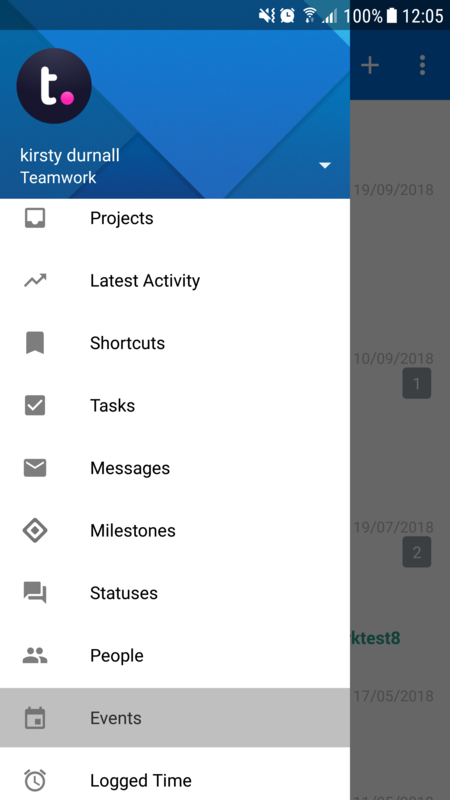 Within Teamwork Projects, you can create an event in your Teamwork calendar using the Projects Android app. 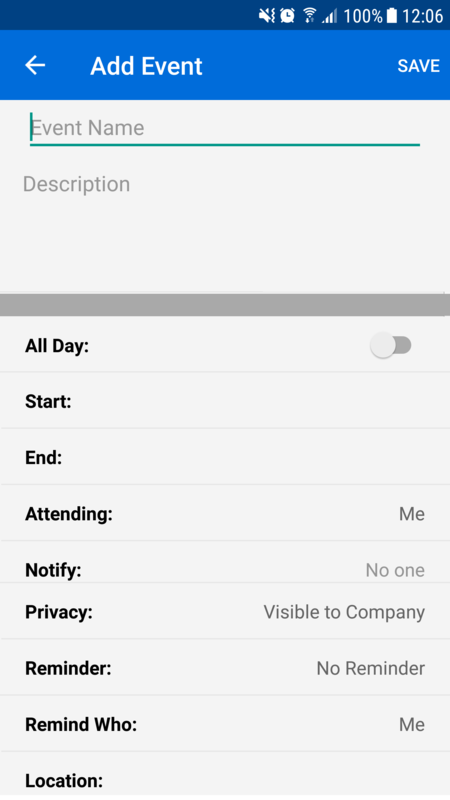 To create an event tap on the menu icon (three lines) on the top left of your screen. 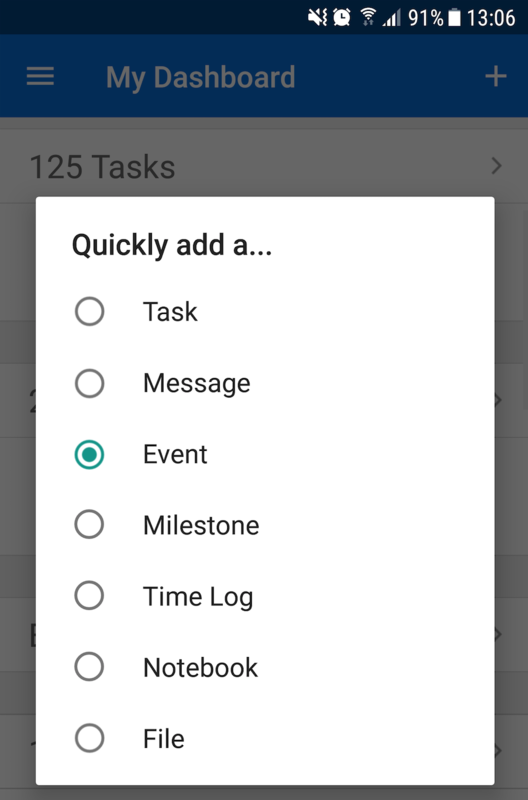 In the sidebar menu, select the Events option towards the bottom of the menu. You can add a new event via the + icon in the top right of the Dashboard tab. In the quick add pop up menu that appears from both views, select Event.